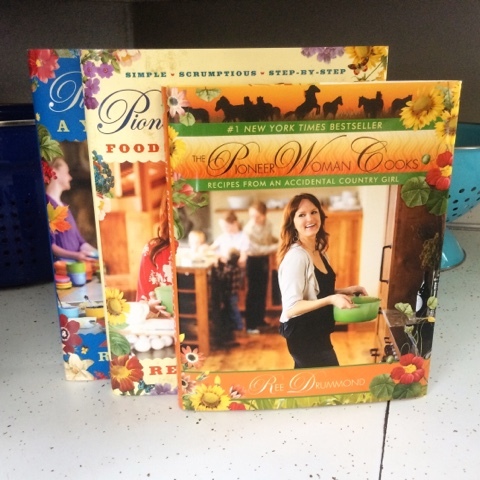 My trip to The Pioneer Woman’s ranch in Pawhuska, Oklahoma. 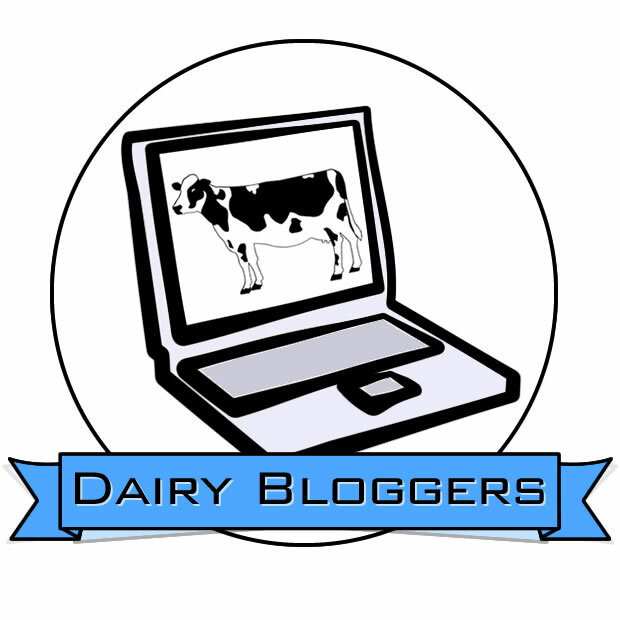 When Land O’Lakes – the cooperative we market our farm’s milk through – asked me a couple years ago to be a guest contributor to their cooking and baking blog, I had no idea that saying yes would lead to Ree Drummond, The Pioneer Woman, visiting our dairy farm last summer or me visiting her ranch last month. Both visits were amazing and I am incredibly grateful for both opportunities. 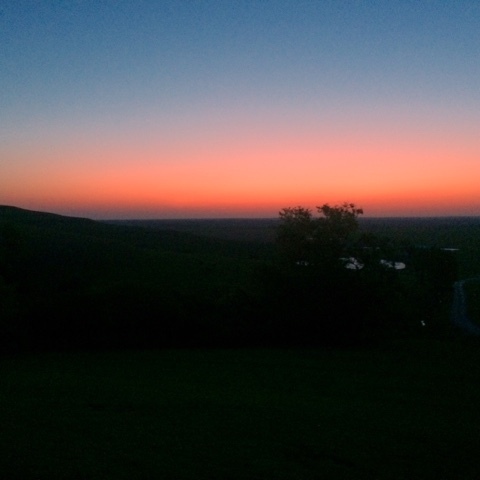 My visit to Pawhuska included a tour of the Drummond family’s ranch, a chance to hang out with my blogging friends, a recipe showcase, and butter tasting. The Lodge was beautiful. 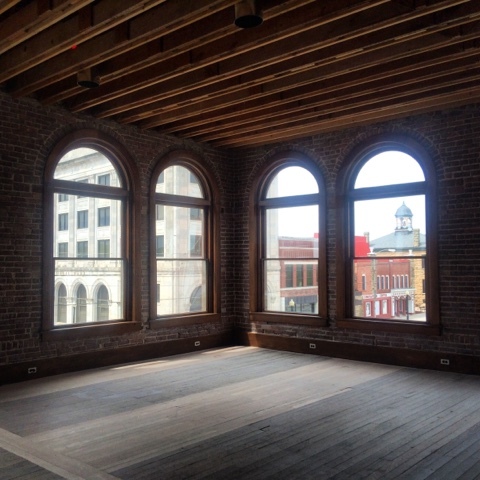 I loved the open space and the view. 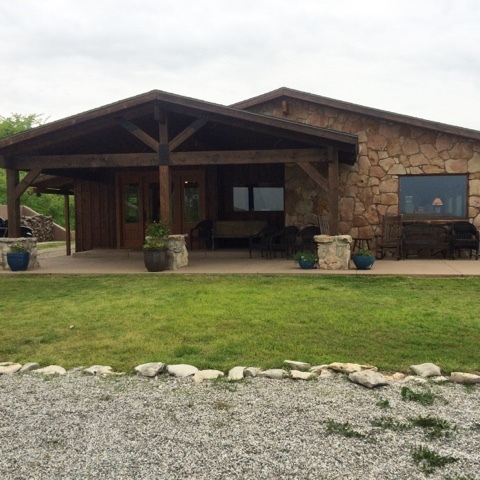 The Lodge is built on the side of a steep hill, so we could see for miles, looking out over the pastures. 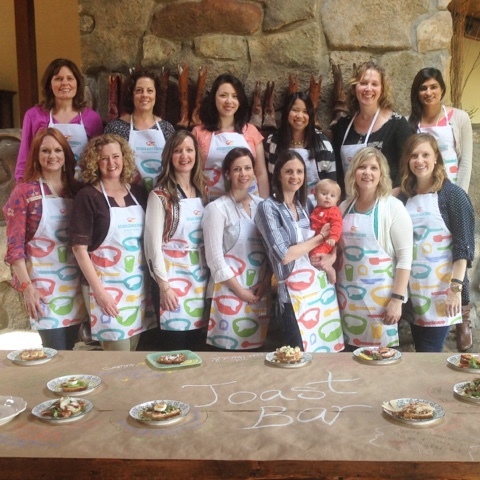 The Lodge is also where we enjoyed most of our meals, which featured all of the recipes developed by the bloggers. Sampling everyone’s creations is definitely one of the highlights for me. The other cool part is getting to see that my recipe turned out for another cook. I always wonder about that when I share recipes…if my directions and methods will be successful for others. Links to all of the recipes are included in this post. 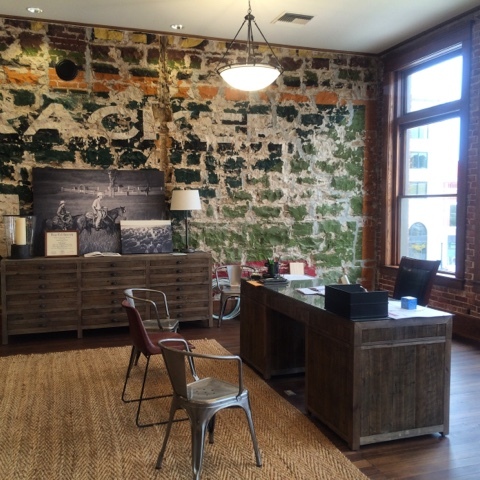 Part of our tour of the ranch included a trip into Pawhuska to see The Building, which is what the Drummonds’ affectionately call the old main street hotel that they are remodeling into a mercantile, deli, event, and office space. I’ve been trying to follow The Building’s progress on Ree’s blog. It was really cool to see all of their plans and what they have already accomplished with the project. The wall below is the old mural they restored. 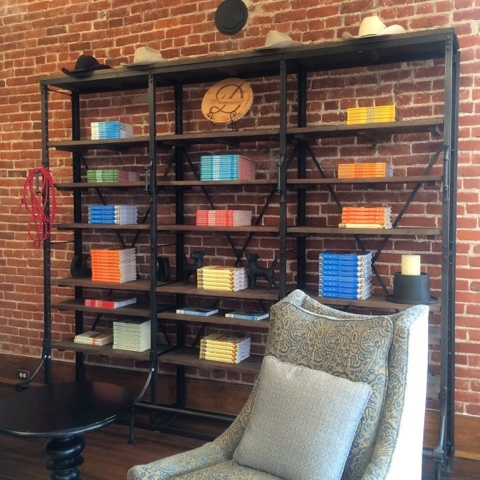 Here, again, Ree’s books – including her cookbooks and her children’s books – were used to add a splash of color to Ree’s half of the office area. I really like it when design and function work together. While we were at The Building we got to reconnect with our inner artists. Ree organized a scone idea contest in which we were asked to illustrate a scone idea using colored paper, crayons, scissors, etc. The winning scone idea would then be featured in The Building’s deli once it opens. I’m happy to say that the winning idea – a rhubarb lemon scone – came from my fellow Minnesotan, Brenda from A Farmgirl’s Dabbles. My idea was the oatmeal-blueberry-dark chocolate scone with vanilla cream icing; it’s a flavor combination I’m sort of crazy about right now. 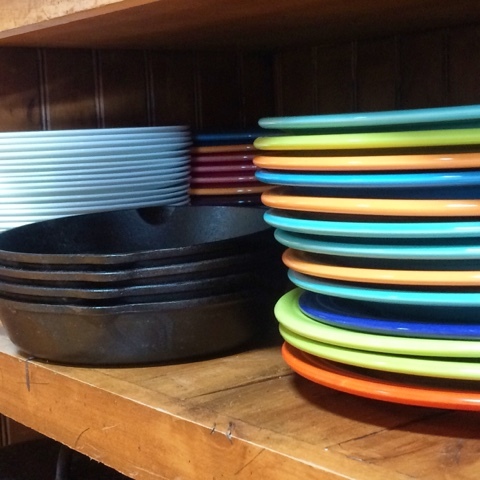 After the visit to The Building and lunch, we got to have some fun in The Lodge’s kitchen. With bread, Land O’Lakes spreadable butters, and an incredible assortment of toppings, we were each asked to create our own gourmet toast. 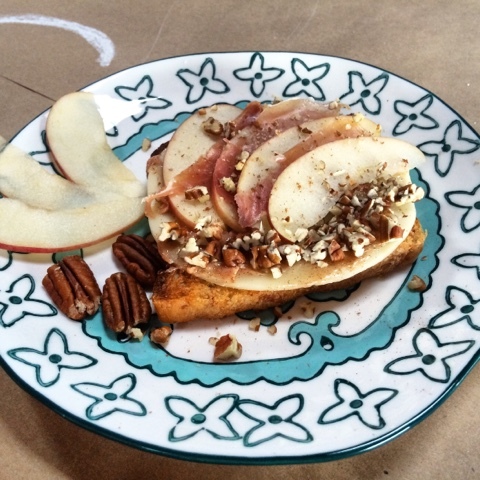 Apparently, gourmet toast is one of the hottest new culinary trends. 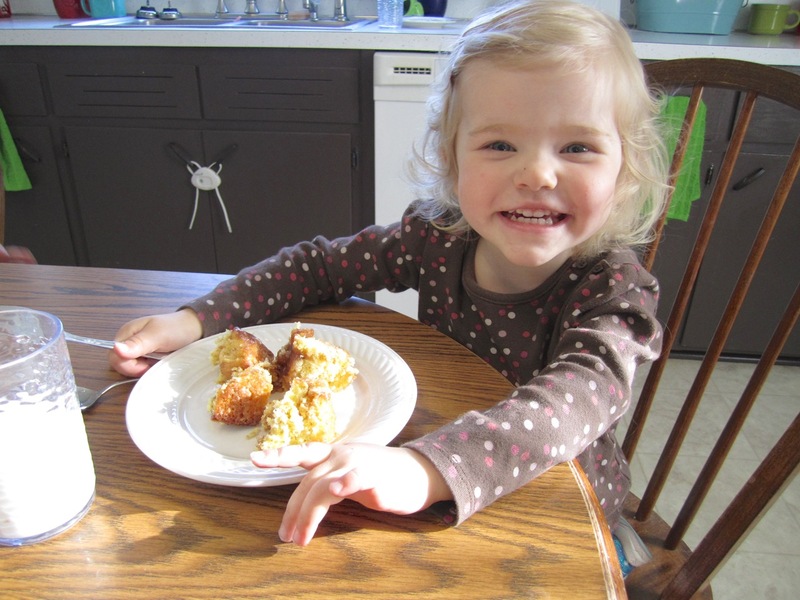 That was news to me, but not a surprise – toast with buttter is one of my kids’ favorites, with any meal. With my kids and Glen in mind, I set out to create a gourmet toast that I would be likely to recreate at home. I topped my whole wheat toast first with Land O’Lakes® Butter with Canola Oil, then a slice of provolone cheese. On top of the cheese, I spread a layer of Land O’Lakes® Cinnamon Sugar Butter Spread, topped with thinly sliced apples and ham. Then I added sprinkles of chopped pecans and cinnamon. 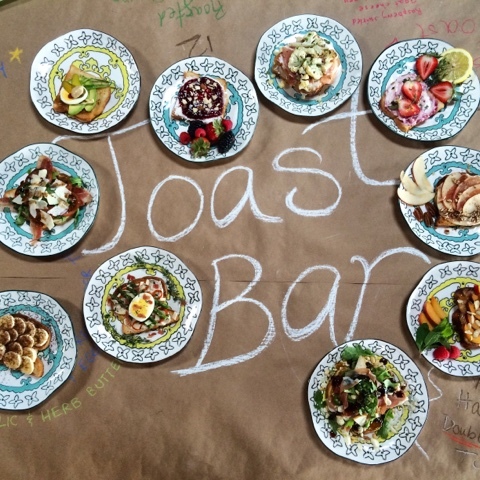 Once everyone else had created their gourmet toasts, we set them out for judging. 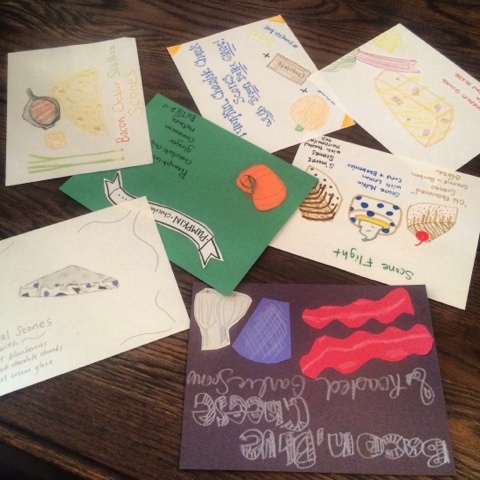 Awards were given to best savory toast, best sweet toast, best presentation, and most creative. My toast wasn’t one of the winners, but we got to eat our toast creations after the judging and mine sure was delicious! The fun didn’t stop with the toast. 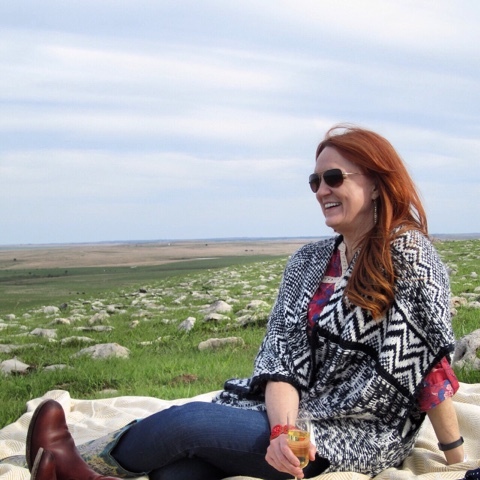 Next up was a picnic on a ridge in one of the Drummonds’ pastures. The view was amazing and it was nice to just relax and chat for a while. The picnic also included two surprises. 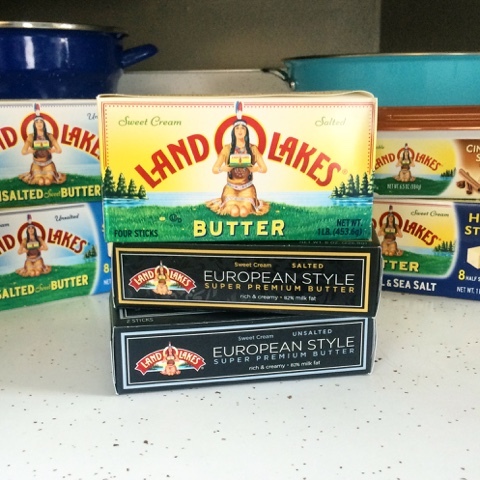 Land O’Lakes introduced their new European Style Super Premium Butter – and we got to taste it! I didn’t think there would be much of a difference between regular butter, which is made with 80% milkfat, and the European-style butter, which is made with 82% milkfat, but there was a big difference! The premium butter was so smooth and rich. 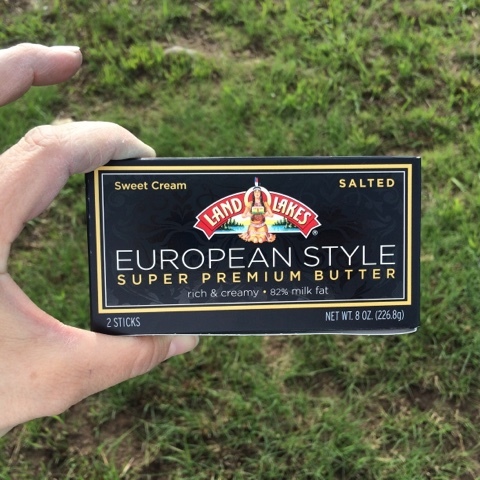 Plus, unlike most European butters, which are made with sour cream, Land O’Lakes’s European butter is made with sweet cream, so it has a great, buttery taste. I am definitely looking forward to experimenting with this new butter in some of my favorite recipes. The other surprise at the picnic came from Ree. When the picnic was just about over, Ree asked us all over to her vehicle, saying she had a little gift for us. Ree has a great sense of humor, so I honestly thought we were in for a joke of some sort. It was no joke, though. 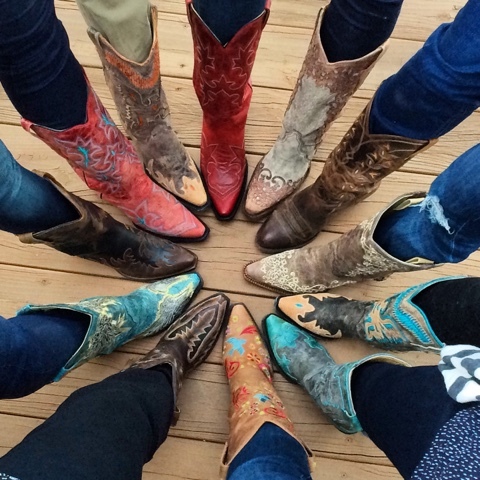 Ree opened up the back of her vehicle and inside was a gorgeous, hand-picked pair of cowgirl boots for each of us. Talk about being wowed. 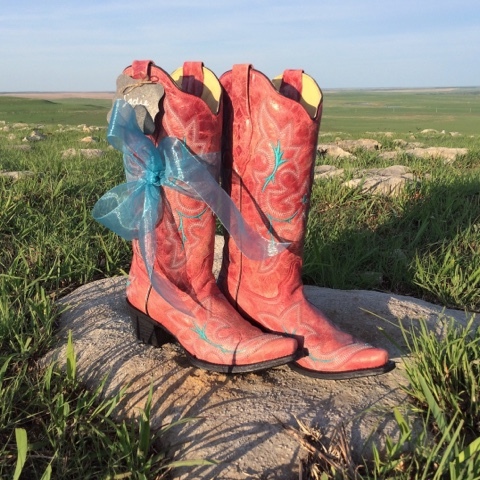 My own real cowgirl boots! 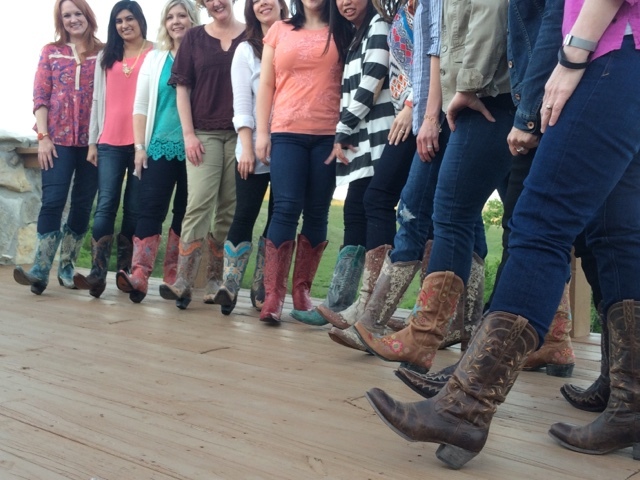 I had borrowed my cousin’s cowgirl boots for the trip to Ree’s ranch, because I didn’t have any of my own. That was after my sister had made it very clear that I needed to wear real boots if I was going to a real ranch. Everyone else was amazed by the boots, too. We had to do a little boots photo shoot. 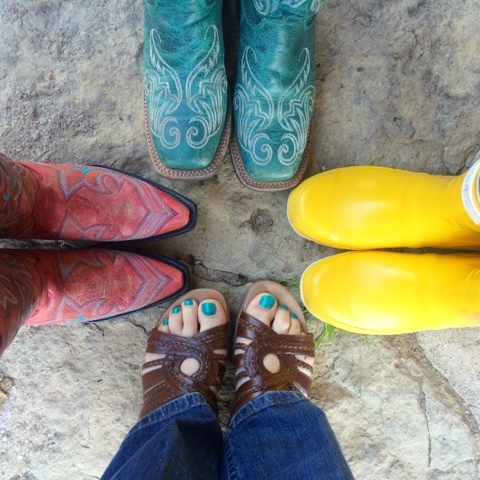 Together with the yellow rain boots we donned for our tour of the Drummonds’ ranch, my visit to Oklahoma was quite the footwear affair. 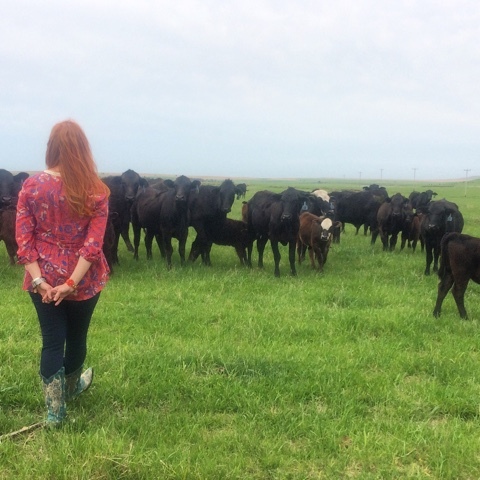 For me, learning about the ins and outs of ranching was another highlight of the trip. It’s always incredibly interesting to learn about other farmers’ ways of doing things. 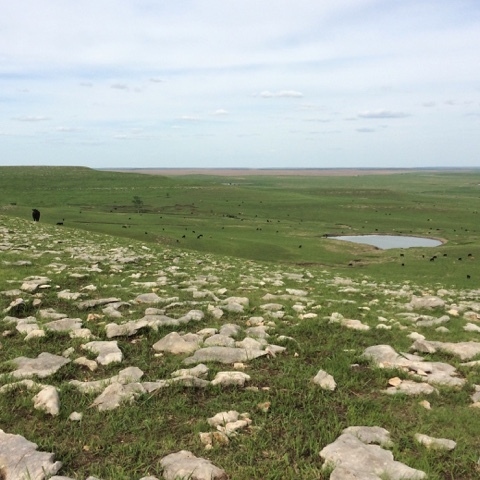 There were a number of pastures filled with cow-calf pairs, bulls, yearlings, and horses. 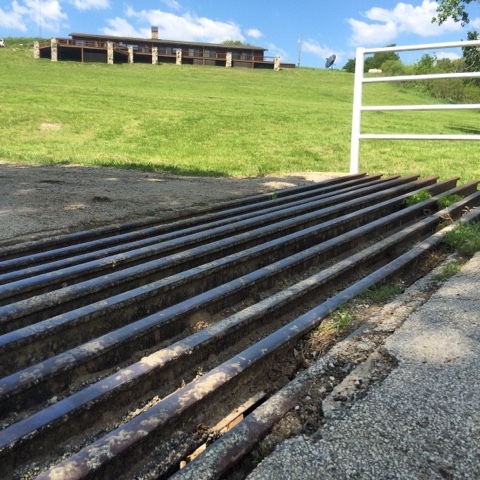 I loved all the oil pipe corrals, made from Oklahoma’s oil industry leftovers. And the barbed wire fences were strung so tight you could have plucked them like a guitar. What was really cool, though, were all the cattle crossings. The crossings, which they use instead of gates, were everywhere. They reminded me of all the horse and ranching books I pored through when I was in middle school. 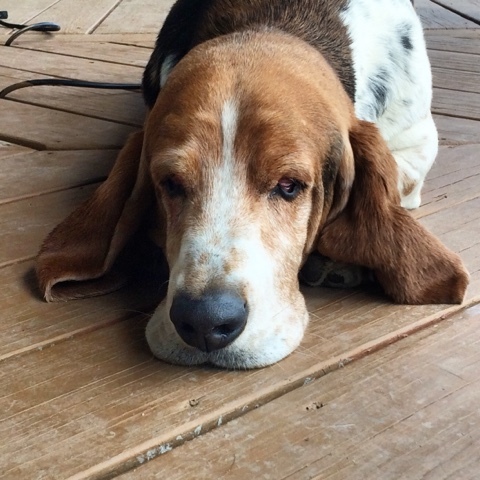 And, on our last morning at the ranch, we even got to meet Walter, Charlie, and the rest of the ranch dogs. No farm (or ranch) is complete without a dog or two. 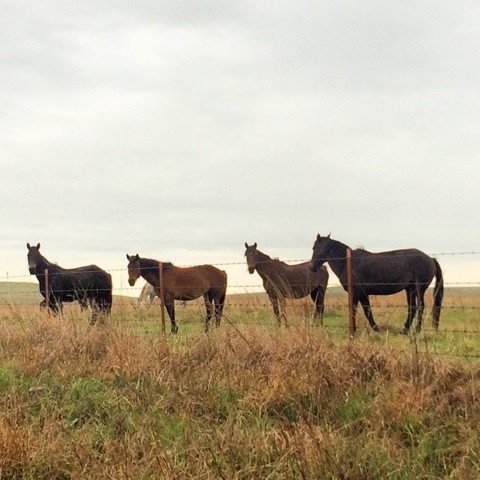 As I said before, I am so incredibly grateful for the opportunity to visit Ree’s ranch. I tried to share as much of the experience as I could in these pictures. 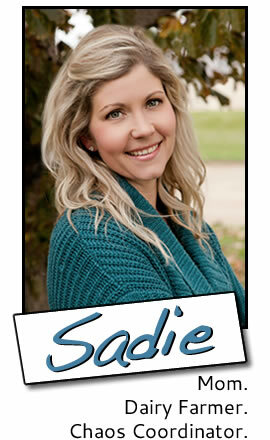 I’m sharing a little more of the experience with a giveway. 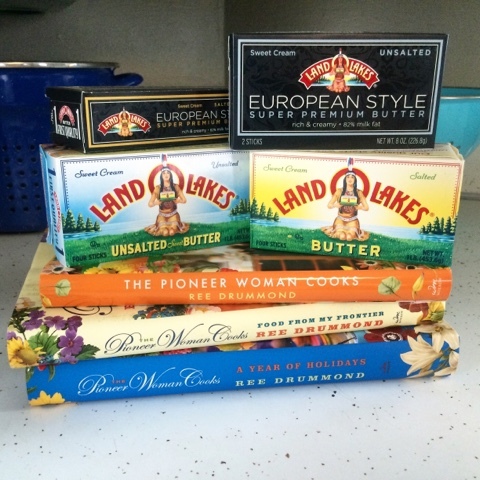 Check out the giveaway post for a chance to win autographed copies of all three of Ree’s cookbooks and $100 of Land O’Lakes® butter, including the new European Style Super Premium Butter. I am a Land O'Lakes Cooperative member-owner. 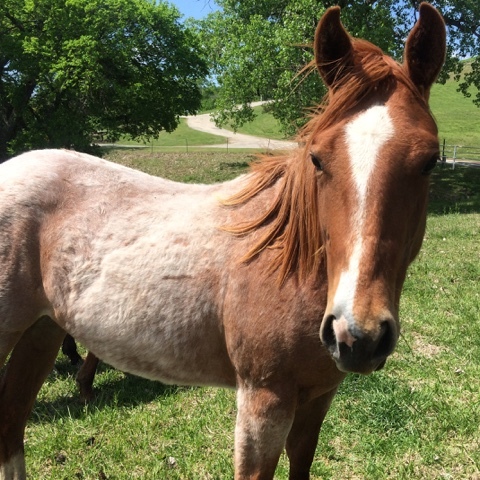 This trip to Ree’s ranch was sponsored by Land O’Lakes, however, I was not required to write this post. The giveaway mentioned is also sponsored in part by Land O’Lakes. As always, all opinions are my own. • Chunky Bread is insanely delicious and seriously addicting. Make at your own risk. • It’s difficult to make Chunky Bread look pretty in a picture, so you really shouldn’t judge this recipe by it’s cover photo. • The recipe for Chunky Bread might look complicated, but it is really simple to create. Brunch is a regular meal for my family. We eat a quick breakfast before going out to the barn in the morning and then sit down for a big brunch after chores. I like to make brunch a special meal during the summer and on weekends when the kids are home from school. 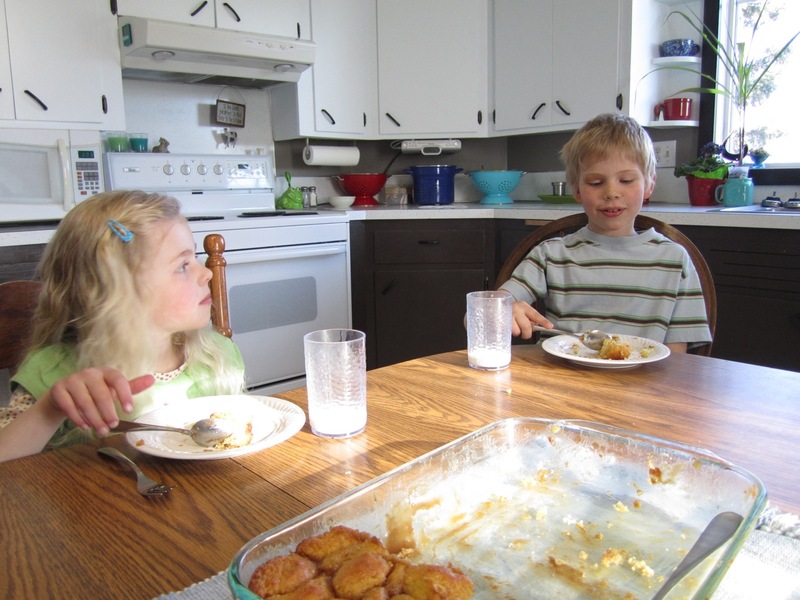 Lots of times, depending on our farm chores and schedules, brunch is the only meal we all sit down together for. This Cinnamon-Sugar Chunky Bread is perfect for brunch because I can make the dough the night before and then assemble the recipe before going out to the barn for morning chores. It’s ready to bake when I come back in and, a half-hour later, I’ve got a brunch centerpiece that my family absolutely loves. Plus, I always have all of the ingredients on hand; we buy Land O'Lakes® Cinnamon-Sugar Butter Spread by the case. The dough for this chunky bread is like a marriage of brioche and biscuits and those refrigerated crescent rolls you can buy at the store. In other words, it’s hard to describe, but it’s really good. And the Land O'Lakes® Cinnamon-Sugar Butter Spread gives the sauce the perfect cinnamon flavor. 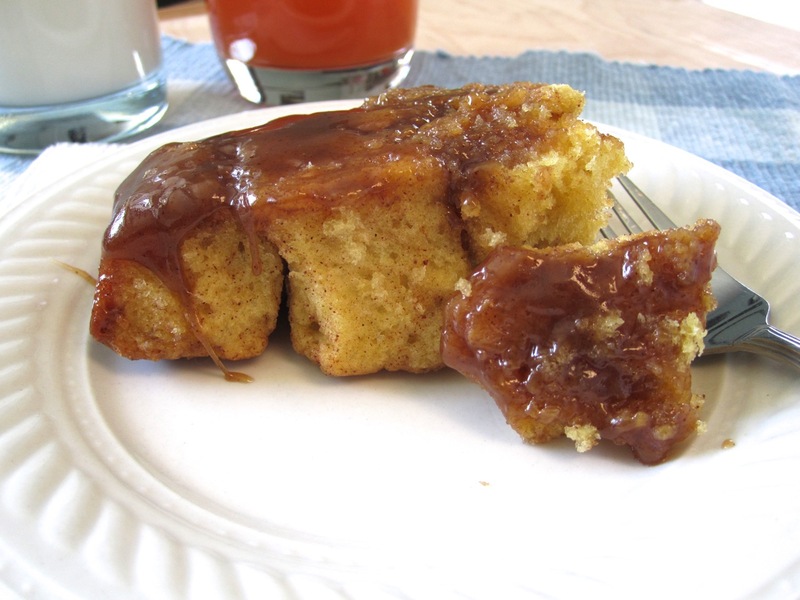 Combine the bread and the sauce and you get something that tastes like caramel-cinnamon rolls, but is way easier to make and way easier to eat, especially for kids. 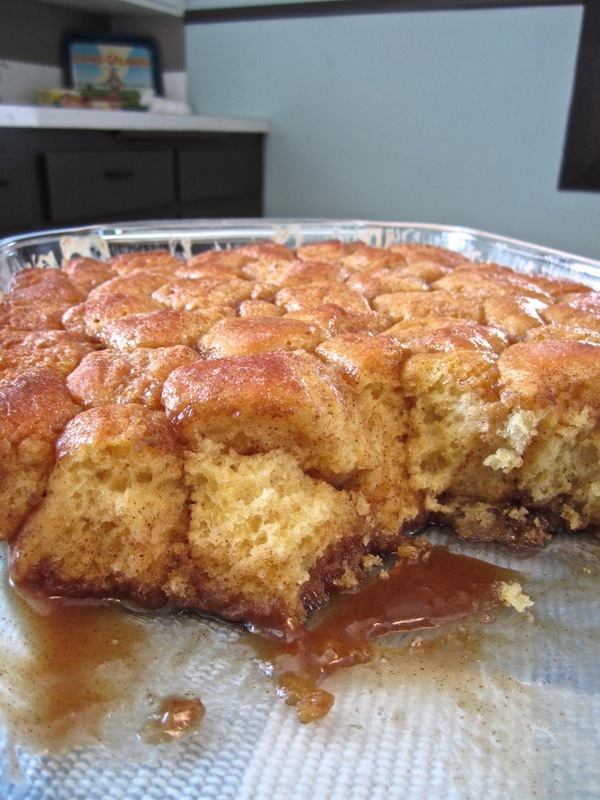 I also adore this recipe because it is incredibly forgiving. I can let the assembled recipe rise for one or two hours; it doesn’t have to be exact. And, once, I seriously over-baked the bread when I went back outside without setting the timer on my phone; but the Cinnamon-Sugar Butter Spread kept the sauce from hardening, so even though the top of the bread was very well browned and the bread was a little drier than normal, it was still darn tasty. 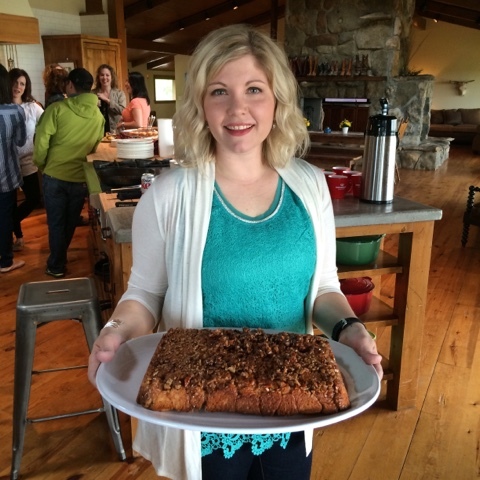 I got to sample all of these recipes in April when the Kitchen Conversations bloggers visited Ree at her ranch. Every one of these recipes is fabulous! 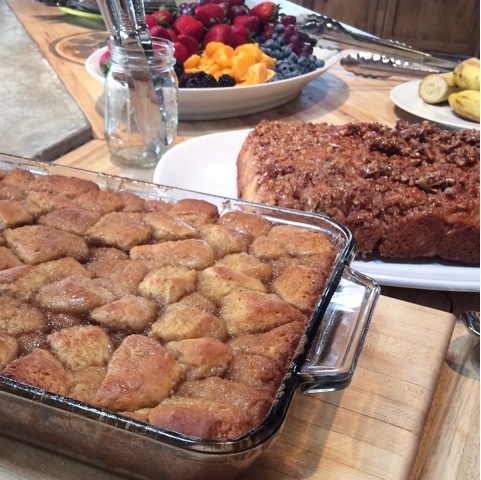 Both versions of my Cinnamon-Sugar Chunky Bread – with pecans and without – were served. 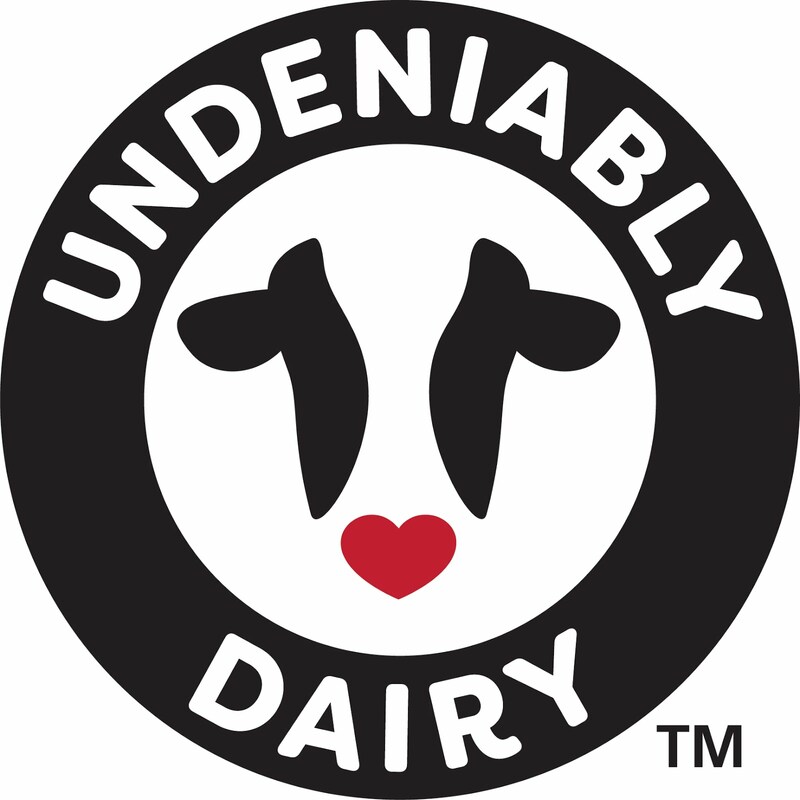 Start with a large container with a vented lid – I use an ice cream pail with three small holes poked in the lid. You can use any container with a lid, just don’t close the lid tightly. Add the eggs to the container and beat lightly with a fork. Stir in the sugar and salt. Melt the butter (about 1 minute in the microwave) and stir into the eggs and sugar. Heat the milk for 1 minute in the microwave (or until about 100°F) and stir into egg mixture. Whisk baking powder and yeast into egg mixture until no clumps of baking powder or yeast remain. Add oatmeal and flour and stir until completely combined. This will be very sticky and look more like batter than bread dough. Cover container and let sit at room temperature for 2 hours. Then, place container in refrigerator and chill 2 hours or overnight (or several days). Using ¼ cup flour, generously flour your work surface. Turn dough out onto work surface and sprinkle more flour over the top of the dough. Knead dough until flour is incorporated and dough is easy to handle, but for no more than 1 minute. Let dough sit for 15 minutes while you make the sauce. Combine Cinnamon-Sugar Butter Spread, cream, sugars, water and salt in small sauce pan. Set over medium-high heat and cook until sauce just starts to boil, stirring bottom of pan frequently with a rubber spatula. Remove pan from heat and let cool while assembling recipe. Combine ¼ cup sugar and cinnamon in medium bowl. 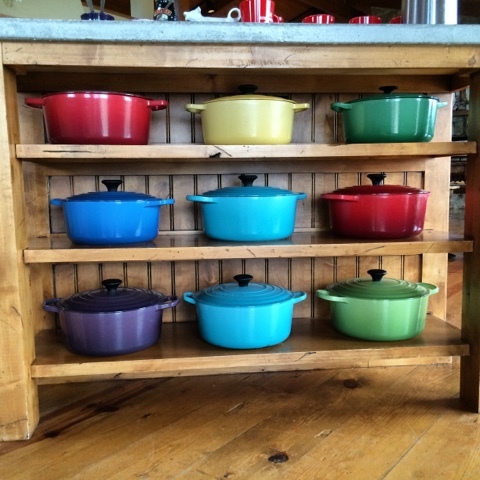 Coat a 9 x 13 pan with non-stick cooking spray. Roll the dough out into a ½-inch thick rectangle (don’t worry about the shape being perfect), making sure your work surface and rolling pin are well coated with flour. Using a pizza cutter, cut dough into 1-inch squares by cutting 1-inch strips horizontally and then vertically. I cut one vertical strip at a time and remove the resulting pieces of dough before cutting another strip. 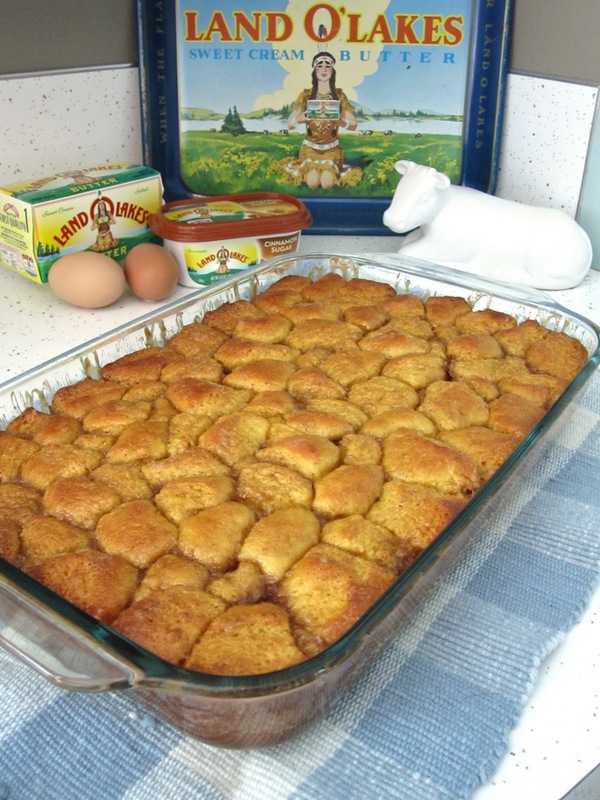 Toss the dough pieces in the cinnamon sugar until coated and then put into baking pan. Once all dough pieces are in pan, pour the sauce (stir well, first) over the dough pieces. It will look like there’s way too much sauce, but don’t worry. Cover the pan and let the dough rise for 1 – 2 hours. Preheat oven to 350°F. Bake for 25 – 30 minutes, until golden brown and center of dough pieces reads 165°F on a instant thermometer. Serve warm or cool. I usually serve this right out of the pan, but for special occasions you can invert the pan onto a large serving platter. Cinnamon-Pecan Chunky Bread: Sprinkle a cup or two of chopped pecans into the pan before adding dough pieces. This is especially pretty when inverted onto a platter.